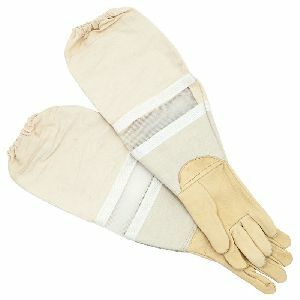 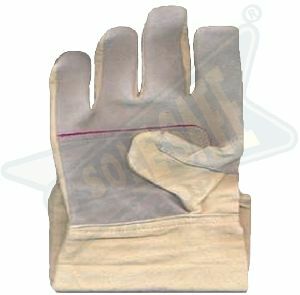 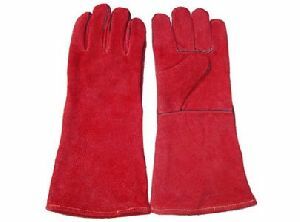 Split Leather Working Gloves Natural sheep or goat leather palm. 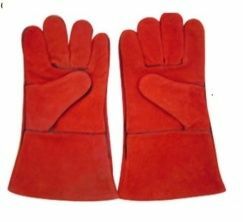 Red dyed lycra textile back with same color elastic ribbed wrist and adjustable Velcro fastening, single strap. 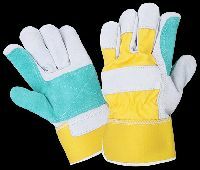 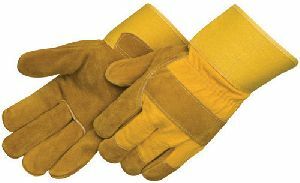 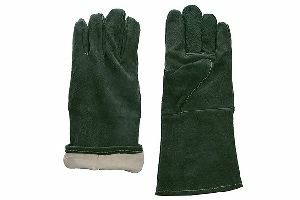 Natural split leather working gloves green split leather reinforcement on palm, thumb & 1st finger, yellow drill 7cm rubberised cuff & back, internal lining. 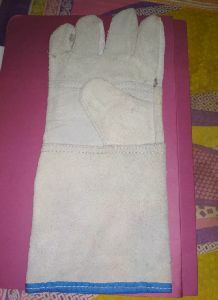 Size - 9 to 11. 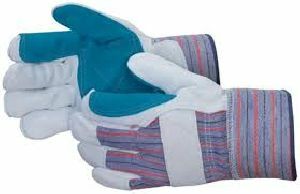 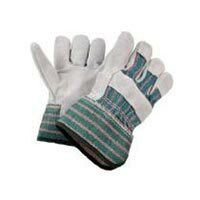 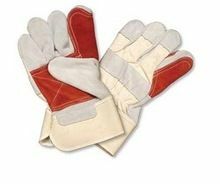 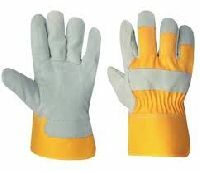 Our range of Industrial Leather Safety Work Gloves is designed to provide a comfortable fit and less bulk between fingers. 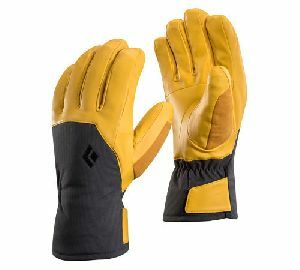 Durable and light weight, the gloves are also provided with cuffs that allow easy grip and good coverage. 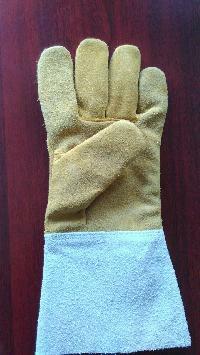 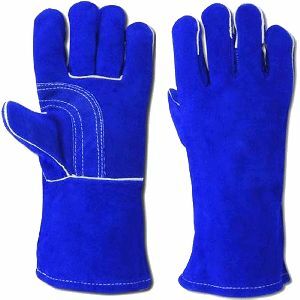 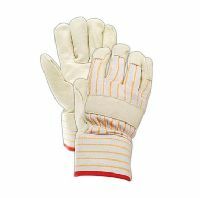 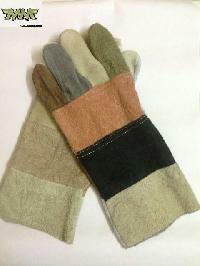 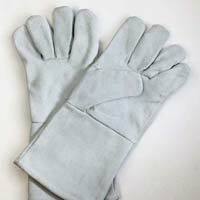 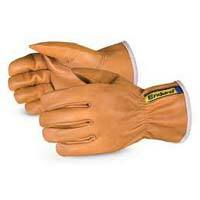 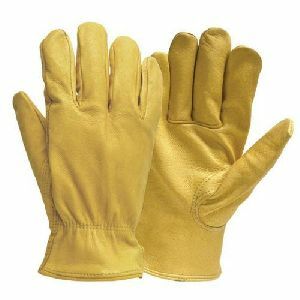 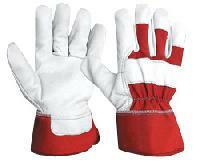 Our exciting range of Leather Working gloves is available in a wide range of colors and finishes. 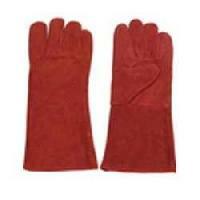 This is manufactured from genuine Grain or Split leather with desired combinations of Fabric. 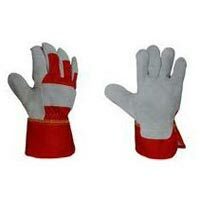 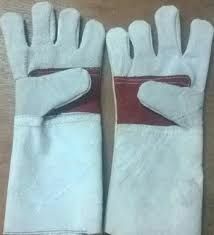 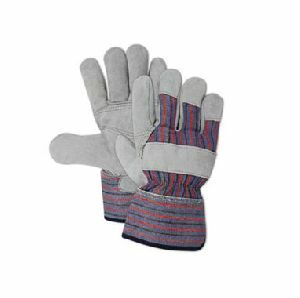 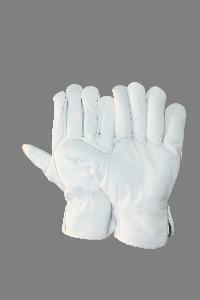 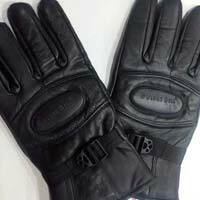 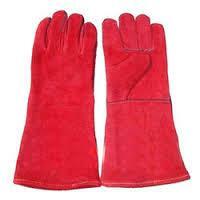 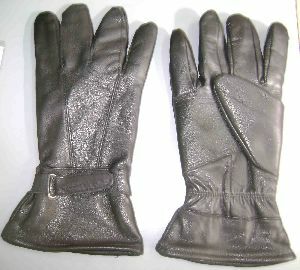 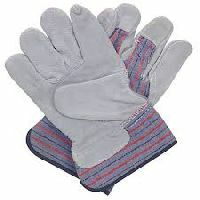 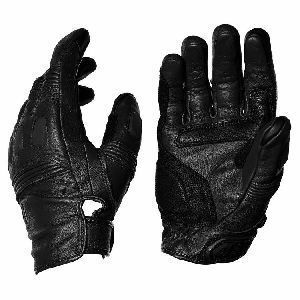 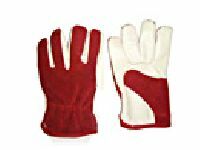 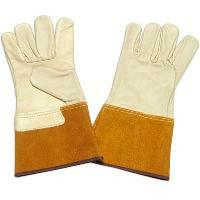 We are offering cow split leather industrial gloves cow split leather safety gloves. 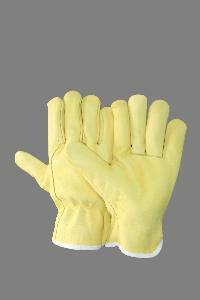 We are also exporting our product to many countries. 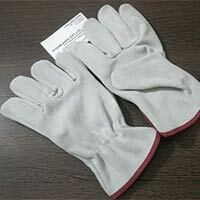 We are manufacturing under the guide line of ce certification. 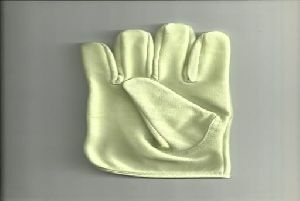 Packaging Details : as per client need.